It’s January 2017 and my chief physio has bad news – Tom Ince, my star inside-forward and the driving force for my attacking Derby County side which, up to this point, has taken The Championship by storm, has been injured in training and will be ruled out for the rest of the season. I look to my scouting team for options, but despite their best efforts there are no legitimate replacements within my price range. I plead with my board to turn on the money tap, but to no avail. My season is in danger of unravelling – all those hours of meticulous planning, scouting, scheduling training and plowing through endless numbers; all for nothing. Over the gentle whirr of my laptop fans I swear I can hear my hair turning grey through despair. And I’m having the time of my life. The joy of Football Manager is, for most of us who don’t like to boast, very much in the pain of unrewarded endeavour. And the beauty of the game is that it never makes the player feel like that the game is the reason for the failure, instead it lays the blame for your sacking by Wycombe Wanderers solely at your feet. And within that mechanic lies the magic ‘one more game’ playability that has lead to the Championship Manager/Football Manager series to taking over so many lives, disrupting sleeping patterns and destroying work productivity. This year’s instalment claims to be the most ambitious yet, but then again that is a boast made every year – so is it true? The most obvious additions to this year’s game are two new game modes – Fantasy Draft and Create-A-Club. The latter is pretty obvious, an opportunity to build a club from scratch – the crest, the colours, even the players. The Fantasy Draft feature adds another dimension to the already popular online mode in which all players start with a fixed budget and build their respective squads turn-by-turn and duke it out. 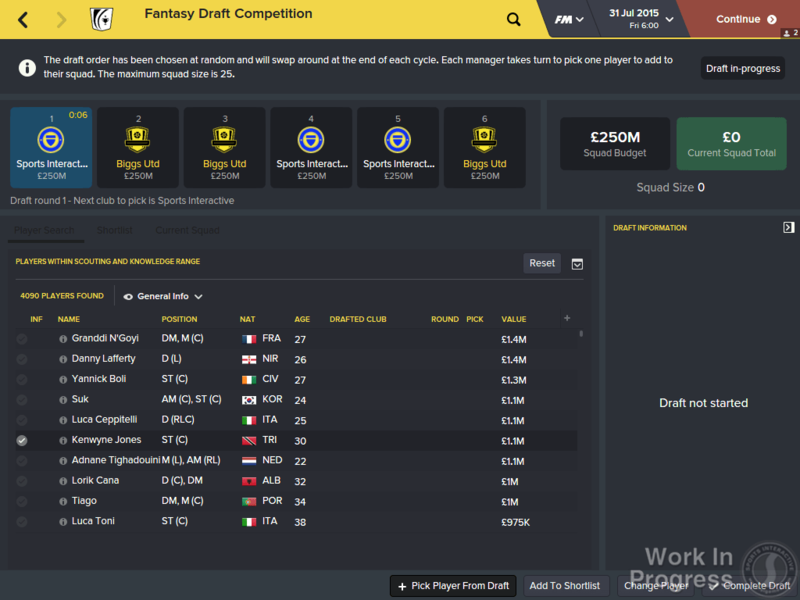 Of the two new modes, the Fantasy Draft certainly feels like something which online FM aficionados could take to their hearts. The other more obvious addition in this year’s game reveals itself at the very beginning of your ‘career’ in the form of an avatar builder. For the first time you’ll be able to create a polygon version of yourself, from questionable facial hair to choosing between a nice suit or tracksuit on match days. Whilst it is fun to toy around with the quite frankly terrifying facial options it does feel a bit superfluous – it doesn’t really add anything to the game. The real changes that do add to the game experience are the small ones, and there are almost too many to mention on one page. Of those that standout, the addition of Prozone data is a masterstroke – data has always played a massive part of the game, but is now more accessible and detailed than ever, whether it be scouting your next opposition or searching for a half-time solution to your right back getting constantly skinned. Speaking of tactics, the ‘tactical instructions’ screen is smoother to operate, with sliding scales of intensity for team width, for example. Additionally, picking the best players for the position is made easier by little green rings of suitability popping up next to the player, it’s a small addition but has a massive positive impact. 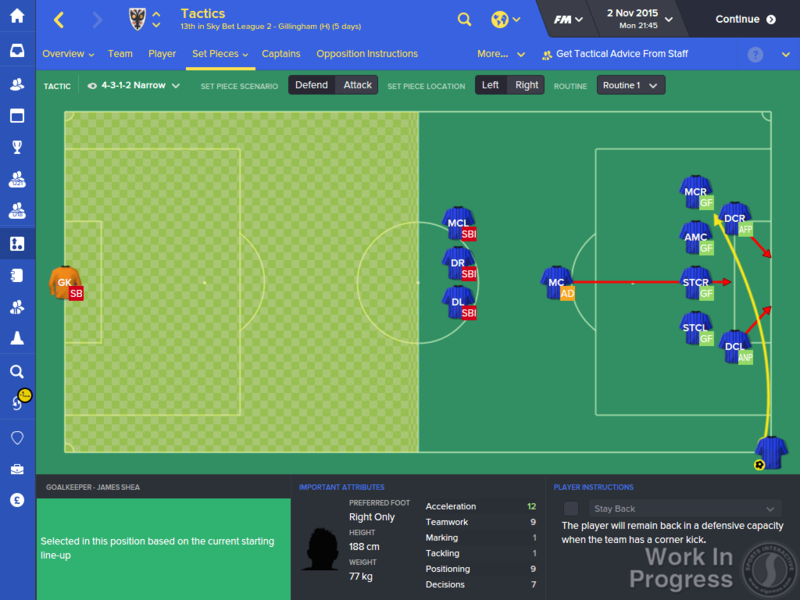 The set-piece builder has been totally revamped, making it easier to visualise those training ground moves. The deeper you go into the game the more of these little changes you encounter, each enhancing the experience in a unique way. The ‘News’ screen is more accessible and features more news from around your game world, allowing you to keep in the loop regarding managerial strife in Scotland or the World Cup qualifiers; again not a massive change, but it adds to the immersive nature of the game. The mechanics of injuries have been revamped to mirror the real world more accurately and now includes players complaining on the field about picking up a knock, something you can joyfully ignore if the player in question is not on your Christmas card list, and a pre-game fitness test feature, where your physio will give you their assessment of a player’s availability for an upcoming game – another decision for you the manager to make and, again, adds another dimension to the game. There is a legitimate question to be asked as to whether it is worth shelling out on a newer version of a game many of you will already own. The new ‘major’ features do add interesting new game modes, but many will question the necessity of these when the game already has a classic formula. But that said, there are enough tweaks and slick little improvements to the gameplay make this a legitimate must-buy for anyone curious about the series and Football Manager disciples alike. This review was based on the Pre-Release Media edition. 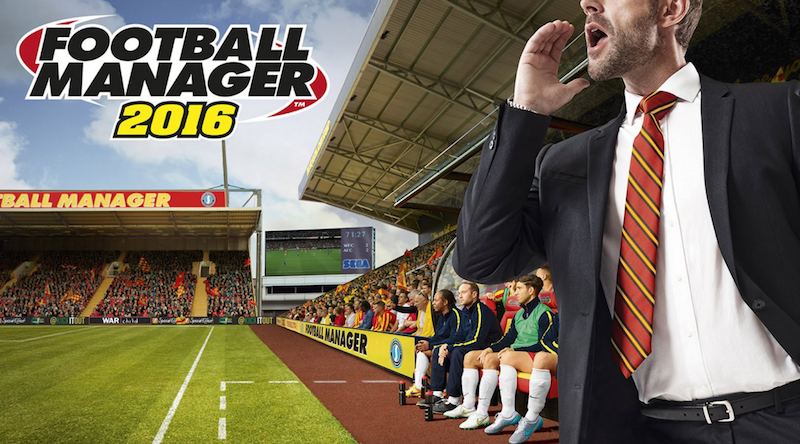 Football Manager 2016 is out November 13th and can be pre-ordered here. Hold the Back Page – Can Ireland beat Bosnia to reach Euro 2016?